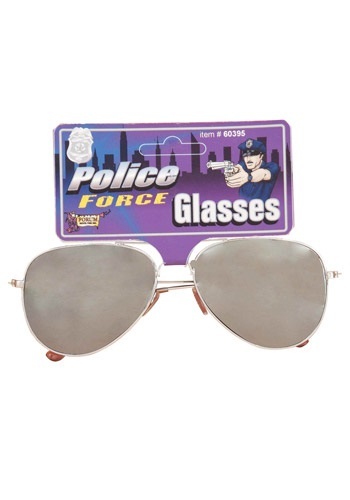 Once upon a time there was a police officer who loved slicked back hair and mirrored sunglasses. He liked the perpetrator to see themselves in cuffs instead of his eyes. He also loved to read non-fiction books about airplanes. He had dreams of being a pilot rather than a cop. The closest to that he could get was through wearing sweet aviator sunglasses. He didn't mind being a cop some days, but really dreamed about flying through the blue skies in a little plane. Maybe you are just dressing up as a police person, not dreaming of becoming one. 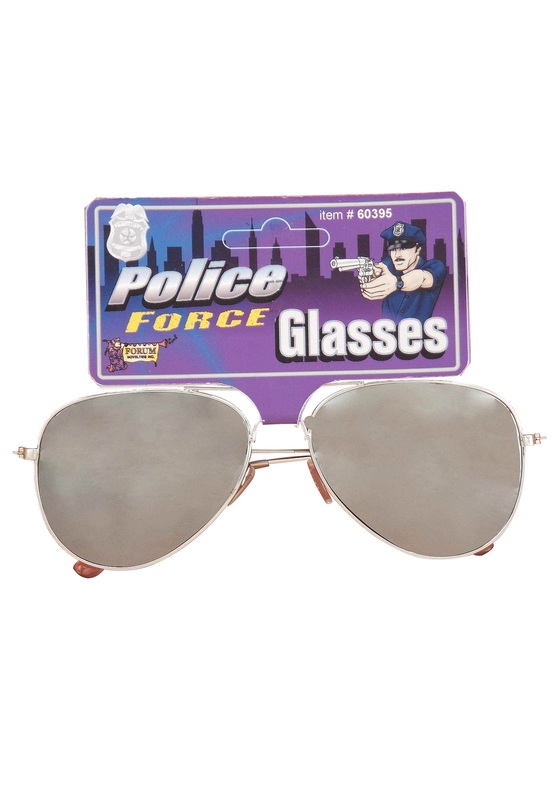 The Police Force Mirrored Sunglasses are the perfect accessory. The mirror like lenses will let other party guests check themselves out, and you'll be part of all the action.